I was delighted to accept an invitation to a Tommasi wine tasting. I’d always admired the very traditional labels and hefty bottles. Tommasi started in 1902, and is now regarded as one of the top producers of Amarone, exported all over the world. In Ireland, Tommasi was the first wine agency for Cassidy Wines, which is now a well-respected importer having recently celebrated 40 years in business. Working as Marketing Manager for Findlaters and Gilbeys for twenty years gives you great insight into your own portfolio, but pretty much excludes you from attending competitor tastings! The Tommasi family wine business originated in Veneto. Recent investments now sees Tommasi with a total of six estates in five regions throughout Italy. All of their production continues to be estate-produced. A Trilogy of Emotions was the theme for this rare and sublime tasting of Tommasi’s top wines, from Veneto, Casisano in Montalcino and Paternoster in Basilicata. Elena Zin, Export Manager led the tasting. She was keen to spread the word about Casisano and Paternoster which are relatively new to Irish wine enthusiasts. The Casisano estate in Montalcino, bought in 2015, has 23ha of vineyards, at 500m altitude, with a favourable south-westerly aspect. It is rich in Galestro and sandstone, giving marked minerality in the wines. ‘Colombaiolo’ is a separate plot with forty year old vines, at higher altitude. It is the source of a special limited release of 4,000 bottles of Brunello di Montalcino Riserva DOCG. We tasted both the 2012 and 2011 of Casisano Brunello di Montalcino DOCG . (The current vintage is 2011, on sale at €50). Colombaiolo Brunello di Montalcino Riserva 2011 at €90 followed. All are very elegant Brunellos; smooth, with layers of dried fruit, a distinct balsamic note, slightly herbal, tea-like notes, all underpinned with a vibrant note of acidity. The Colombaiolo is hallmarked by a superb richness. Paternoster is perhaps the most renowned producer of Aglianico del Vulture DOCG. The estate includes 20 hectares of volcanic soil, at 600m altitude, maintaining vibrant levels of acidity. The original owners retain a 20% share of the winery. Don Anselmo Aglianico del Vulture DOCG is the product of 50 year old vines. The wine is aged in both Slavonian and French oak, then blended. We were lucky enough to try the 2013 and the 2010 – both were magnificent. This wine needs time in the glass to reveal itself, and ideally, a weighty aged beef alongside it. Dry and firm, tarry/earthy, with vague hints of violets, dried fruit (raisin, currant). Only 60 bottles found their way to Ireland, retailing at €50. 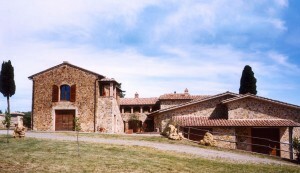 The original Tommasi estate is comprised of several vineyards. ‘La Groletta’ vineyard, is rated as a five-star vineyard, and is the source of the majority of grapes for Amarone. The vines were planted between 1990 and 2000. The vineyard has stony soil, with good drainage (important in rain-prone Veneto), facing south-west towards Lake Garda. The family treasure their Slavonian oak barrels, and use the largest wine barrel in the world to age this wine – Magnifica, which holds 333 hl. 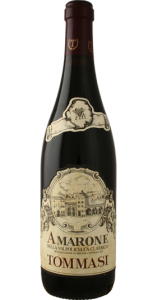 We tried the 2013 and then the 2010 Tommasi Amarone della Valpolicella Classico DOCG. (This wine retails at €45). Elena admits that these are by far the most ‘friendly’ wines of the Trilogy. Off-dry (at 6.2g and 7.5g RS, respectively), the concentration of succulent, plump dried fruit, coffee, kirsch and chocolate is well balanced against a rich glycerine mouthfeel. Both wines are powerful, and superbly well-balanced. We were treated to a 2010 Amarone Riserva from Ca Florian – their oldest vineyard. This sublime wine sells at €70 - a real treat for a serious wine enthusiast. While similar to its little brother, above, it changes with each approach, and is more savoury in character. The Trilogy tasting was a real treat; many thanks to Cassidy Wines. Tommasi stockists include Whelehan’s Wines, Martin’s, Donnybrook Fair, Wineonline.ie, O’Brien’s,’ La Touche Wines, Ardkeen Quality Foodstore, Castle Off Licence. Hopefully we will soon see Paternoster & Casisano stocked too. Maureen is a fully certified trainer who holds the WSET Diploma, working full-time in the Irish wine industry since 1991. Prior to setting up Premier Wine Training in 2010, she worked in wine companies including Findlaters and Gilbeys. She has been fortunate to train and work with some of Ireland’s best wine people and taste wine with some of the world’s most famous winemakers.